Frequently branded as the United Kingdom, the UK or Britain is a sovereign state located off the north-western coast of continental Europe. Northern Ireland is the only part of the UK that shares a land border with another sovereign state—the Republic of Ireland. It is a country in its own right and consists of four countries: England, Northern Ireland, Scotland and Wales. 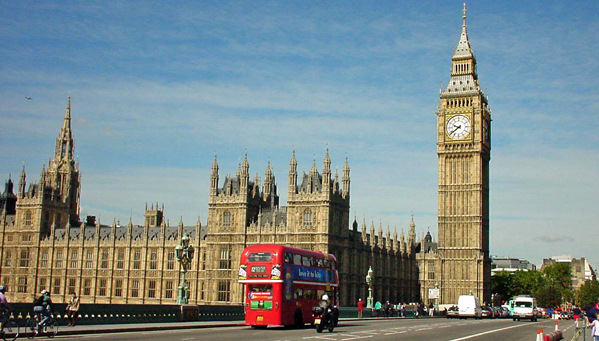 Before the latest economic crisis, the United Kingdom had a wide variety of employment opportunities, particularly in London where the capital city competes constantly for the title of financial capital of the world. However, nowadays there are fewer jobs to be found throughout the United Kingdom, but for those determined and willing to compete in today’s economical workforce; the UK remains an exciting and prosperous land of opportunity. England is the largest country of the four and is commonly mistaken as the whole of the United Kingdom, which is exceptionally incorrect. England accounts for just over half of the total area of the UK, covering 130,395 square kilometres. Almost 84% of the population of the UK lives in England, particularly in the main cities and metropolitan areas. Most of the country consists of lowland terrain, with mountainous terrain found further north. England is a multi cultural nation of football fanatics, celebrity chefs, open minded city traders, cricket lovers, festival goers among many more unique characters that will never seek to amaze. It is a land of opportunity with an array of occupational positions dispersed across the country, one of the main reasons why so many emigrants end up living in England. Scotland is located north of England geographically, and accounts for just under a third of the total area of the UK, including nearly eight hundred islands predominantly west and north of the mainland. The fault line separates two distinctively different regions; namely the Highlands to the north and west and the Lowlands to the south and east. 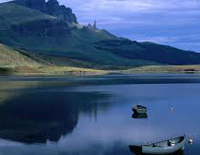 The more rugged Highland region contains the majority of Scotland's mountainous land. Lowland areas are flatter and home to most of the population including Glasgow, Scotland's largest city, and Edinburgh, its capital and political centre. Scotland is a wonderful country, consisting of a unique group of inhabitants otherwise known as “Scots”, who pride themselves in the history of their clans, their beautiful landscapes and their overall general sense of friendliness towards others. Scotland has always had a feeling of uniqueness about it, whether it’s from the men wearing kilts with pride to the outstanding medieval castles surrounding the hills and valleys of this picturesque country. Wales accounts for less than a tenth of the total area of the UK and is mostly mountainous. The main population and industrial areas are in South Wales, consisting of the coastal cities of Cardiff, Swansea and Newport. Cardiff being the capital city of Wales is home to many fascinating attractions including the Millennium Stadium, one of the best sporting stadiums in the Britain, Cardiff Castle, dating back to the 12th century and Cardiff Bay, which now includes the new Millennium Centre for Arts. The 14, or possibly 15, Welsh mountains over 3,000 feet high are known collectively as the Welsh 3000s. Northern Ireland is the only country part of the United Kingdom that does not physically connect borders with England. It accounts for just 14,160 square kilometres and is mostly hilly. Northern Ireland prides itself in its traditions and is an extremely proud nation. One of Northern Irelands great recognitions of course being the birthplace of the great Titanic, which was built in Belfast, and remains a source of permanent pride in the city where she was built. We have thousands of local members waiting to answer your questions on living and working in United Kingdom. Join Worky or Login to Join the Discussion. I am Prem from India, Have 6 years of experience in Electronics Industry, Looking for a Job in U.K. anyone please help.